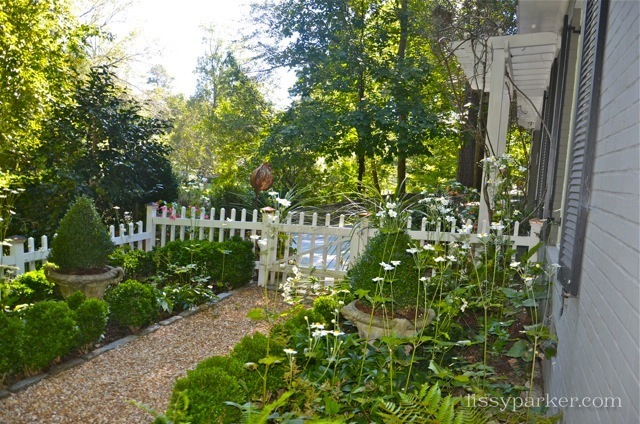 My Atlanta anemones are in full bloom in the front courtyard garden. 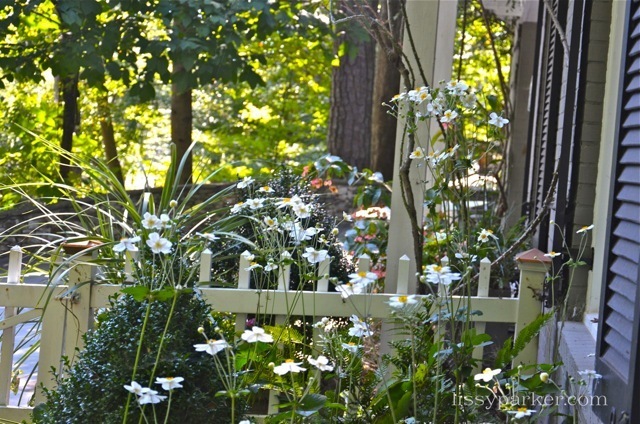 These lovely little white flowers always appear just when you least expect them—in the Fall. 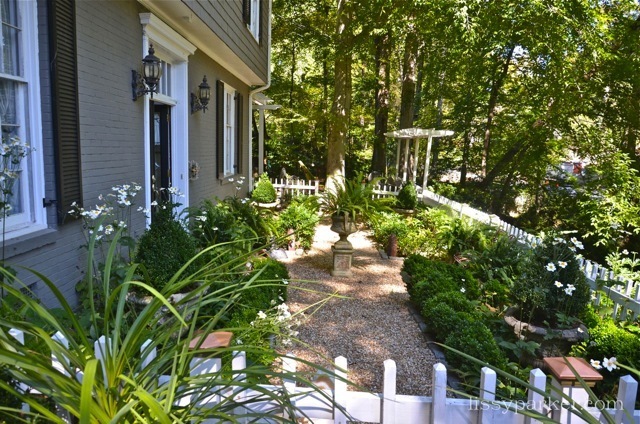 These white clusters were originally planted by Garden designer Ansley Browning, now located in Winston-Salem, N.C.. Thank you Ansley for all the beauty I enjoy Each Fall. I’m going to plant a zillion of these in my Cashiers garden! Hope they do this well in the mountains. Just as most flowers are yellow and bronze..these elegant Windflowers or Anemonies. Did a wedding at Lookout Mountain and the walk through grounds of home there was lined with them. Just spectacular fall wedding. Late blooming white hydrangea was also performing for the weekend. Lynn, That sounds wonderful. You can never go wrong with hydrangea. These are so beautiful and thriving. Great photograhs! I love the Anemonies Lissy. Let me know if they do well in the mountains. I would love to plant some also. Very pretty!